“Lazybed” eCommerce site serves mattress purchasing service. We have developed an eCommerce website in the WordPress latest stable version. 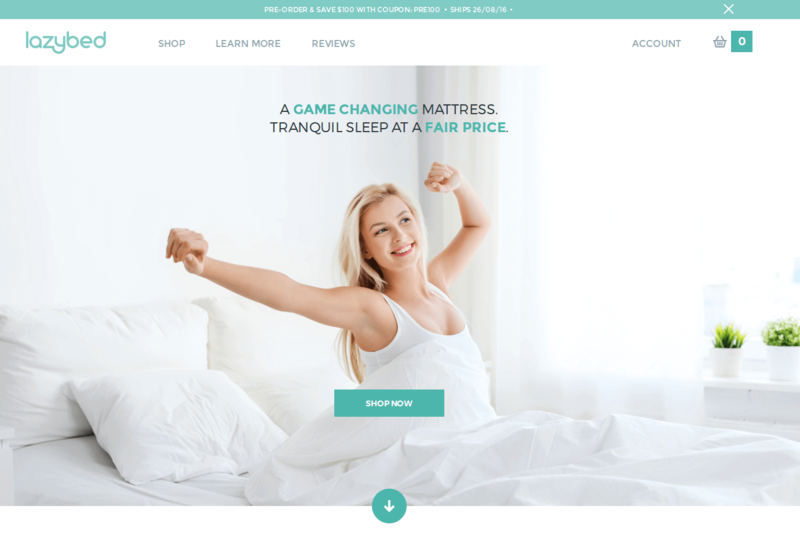 This eCommerce website serves the marketing of the mattresses where users can choose any variant that they want, from the options of the mattress's variants and can place an order for it by filling the mandatory details over checkout page and making payment for it through the Express/ Standard PayPal payment gateway which is integrated over the site. Admin can edit the text populated at the “+” sign popups of home page and can add/edit/delete customer account & their respective details. They may add the variants of the mattress in the back end and can send bulk mails for the discount to all the users at the same time and can check all the orders that took place over the site. They can manage the static content of the pages. Lazybed chooses LogicSpice for its extensive experience in the world of web, iPhone application development, thereby provides a better user experience. The motto of proposed web solution is to develop an eCommerce website that will be offered by administrator that would be a User Centric, User Oriented and would be easy to navigate and use. The objective of the proposed web solution is to develop effective services. LogicSpice continues to provide expertise and services in support of Lazybed ongoing program of website development.